A selection of the open educational resources that have been released from the School of Science and Technology at the University of Northampton. Based on 28/5/2016 figures. Pollution is the undesirable introduction of pollutants (contaminants) into the natural environment (land, air and water) and can have an adverse affect on human health. 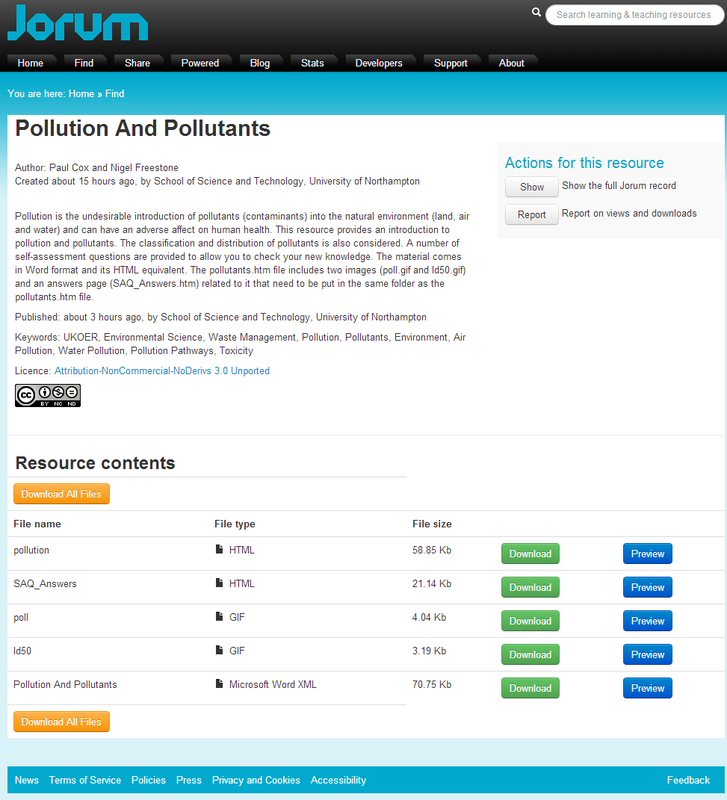 This resource provides an introduction to pollution and pollutants. The classification and distribution of pollutants is also considered. A number of self-assessment questions are provided to allow you to check your new knowledge. The material comes in Word format and its HTML equivalent. The pollutants.htm file includes two images (poll.gif and ld50.gif) and an answers page (SAQ_Answers.htm) related to it that need to be put in the same folder as the pollutants.htm file. This material gives the description of the physical processes involved in the propagation of ultrasonic pressure waves as they pass through a material. It includes a mathematical derivation of the amplitude of the transmitted and reflected pressure waves, and an explanation is given for the differences between the near and far zones. This material has been used in the Advanced Inspection Methods and Techniques module as part of the BSc programme in Non-Destructive Testing at the University of Northampton. These slides are intended for undergraduate computing students, providing an overview of Genetic Algorithms, a concept of in artificial intelligence. 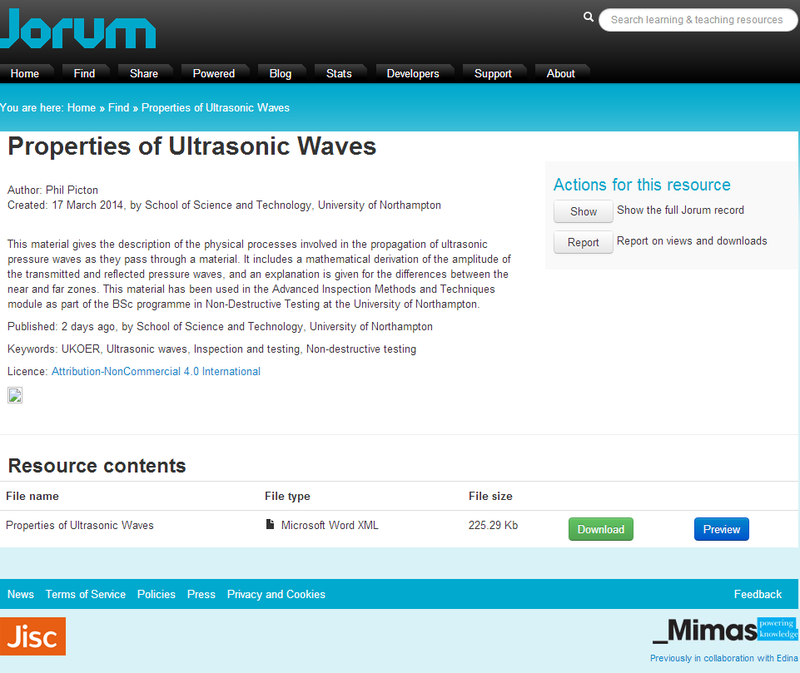 As well providing an overview the material also include links to applications via web resources. The slides are taken from an undergraduate artificial intelligence module on the BSc Computing Programme at the University of Northampton. Possible uses of these including support material for second year, third year or masters level course on artificial intelligence. In this material you will be introduced to some of the principles of programming, and specifically learn to write fairly simple programs using a programming language called C. An idea central to this material is that programming is about problem solving; you write a program to solve a particular problem. It is hoped that at the end of the material you should see that there is nothing magical or mysterious about programming. One of the features some people like about programming is you are making the computer do what you want. During the programming exercises, do not worry about making mistakes. In this material you will be expected to try out programs and eventually write your own. The target audience is anyone who wants to learn a programming language or is looking for some assessment questions around programming. 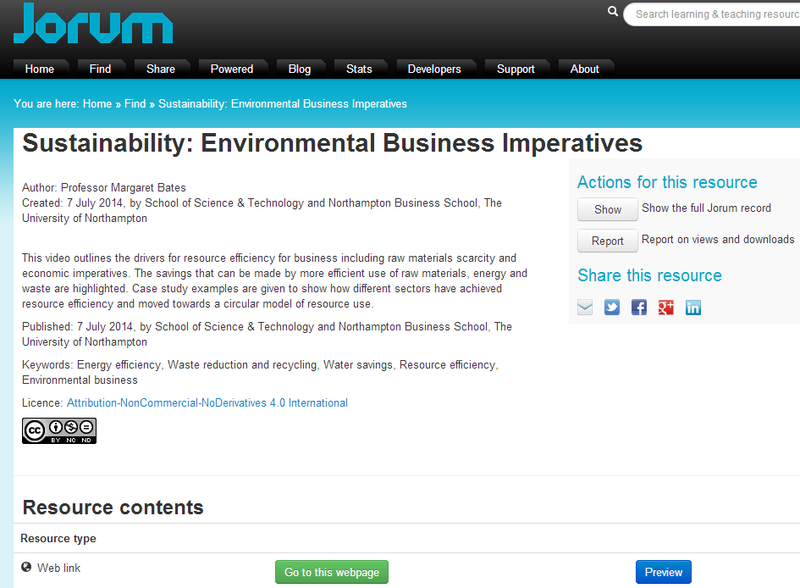 The material was originally aimed at second year engineering students at the University of Northampton. These mini lectures are intended for undergraduate computing students, for providing simple steps in problem solving before the students learn a programming language. Problem-Solving and Programming is a common first year undergraduate module on the BSc Computing Programme at the University of Northampton. This material was taken from the problem solving part of the module and provides an introduction to five topics in problem-solving. This video outlines the drivers for resource efficiency for business including raw materials scarcity and economic imperatives. The savings that can be made by more efficient use of raw materials, energy and waste are highlighted. Case study examples are given to show how different sectors have achieved resource efficiency and moved towards a circular model of resource use.